Recently Google Translate got very useful update that enables the app to offer real-time translation of spoken foreign languages and also translation of text via the user’s camera. This modified and updated app enables users to snap a picture of foreign writing, on a sign for instance, and Google Translate will offer up the translated text overlaid on the user’s screen. The new feature of translation is currently available for English to and from French, German, Italian, Portuguese, Russian and Spanish. More languages are to be added over time. 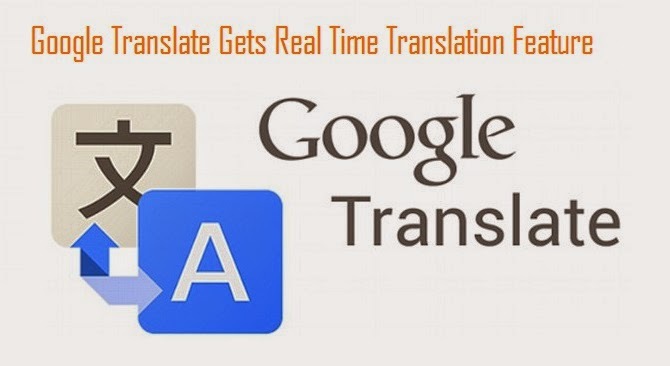 In its next update, Google will allow Translate to identify if a person is speaking a popular language and then automatically provides what was said in written text. Find the below video to understand how it works.